this has been the driving force behind Red Valve since 1953. Today we remain dedicated to exceeding your expectations with proven, creative valve products and engineering services founded on unmatched elastomer design and manufacturing experience. Our initial order was for the world's first coal slurry pipeline, where we created the only available valve capable of reliable slurry control. 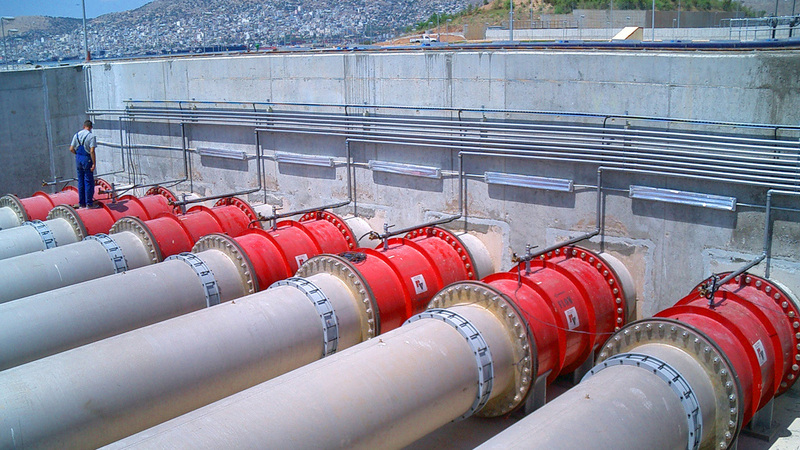 Red Valve provides a Total System Solution for Wastewater Treatment facilities. Click on the red dots of this interactive map to see how our innovative products solve your toughest challenges. 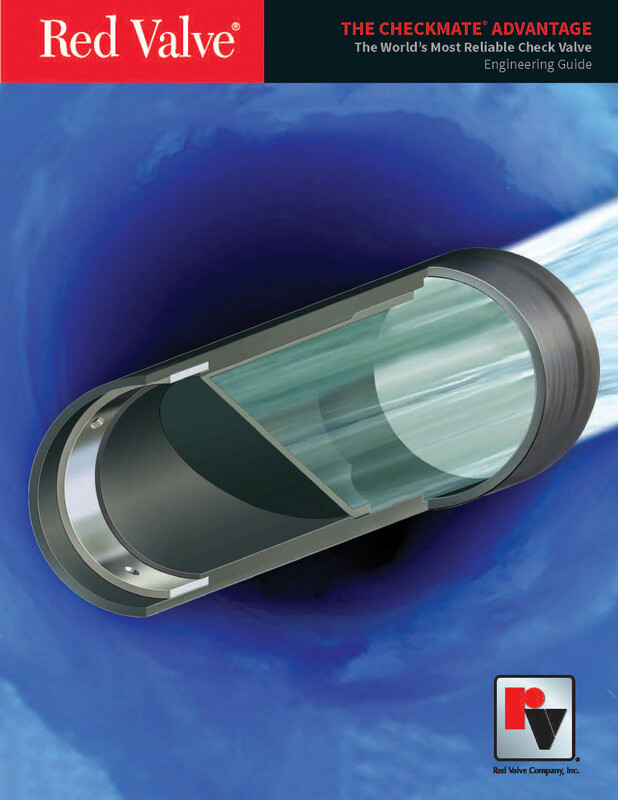 Download the new CheckMate® Advantage brochure, featuring the CheckMate® UltraFlex™ Valve. Looking for municipal collection and distribution solutions? Check out our new interactive map! 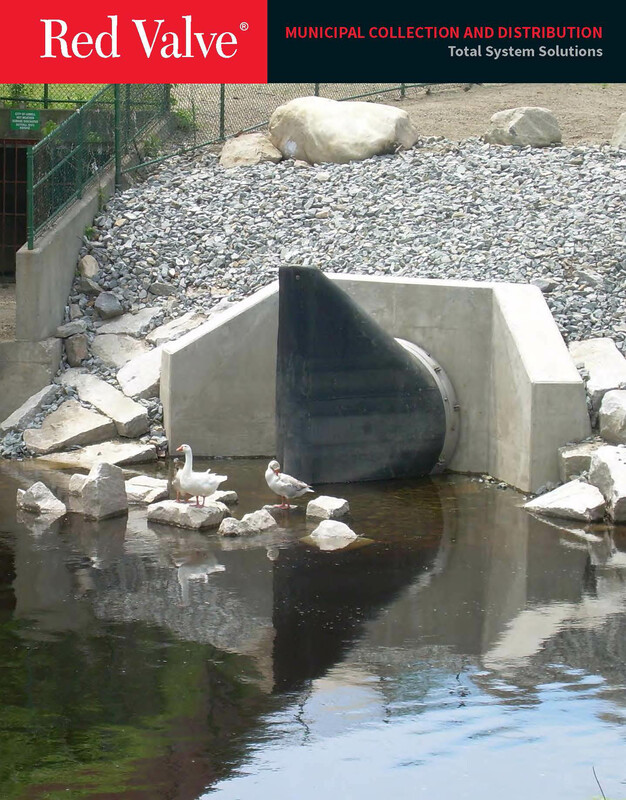 Red Valve provides a Total System Solution for Stormwater Outfall and CSO System challenges. 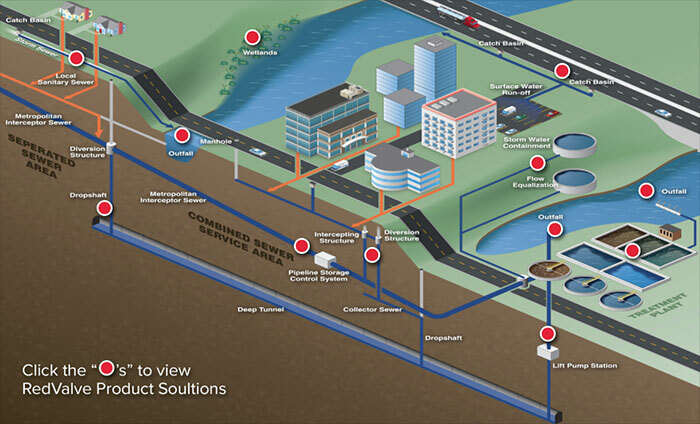 Click on the red dots of this interactive map to see specific examples of how our innovative products solve the toughest outflow challenges. Download the new Aeration Mixing Systems brochure. Download the new Hydraulic Recirculation and Mixing Systems brochure. Download the new Municipal Collection and Distribution brochure. 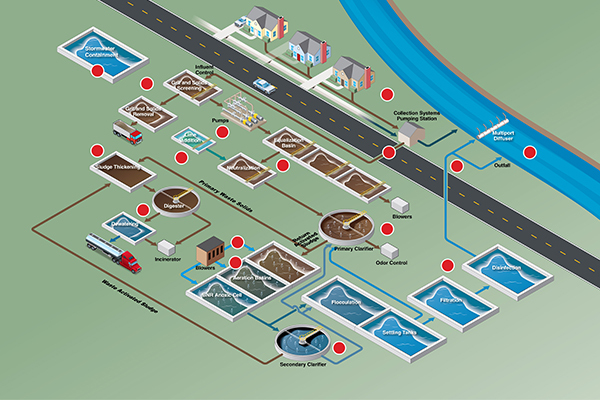 Download the new Valve Selection Guide for Wastewater Treatment brochure. Download the new Knife Gate brochure. Our Control Valves offer maximum durability with precise control and virtually no maintenance. A heavy-duty pinch mechanism positions the sleeve for accurate control over a wide flow range. To see a demononstration of how our pinch valves operate, click on the video. When you specify Red Valve products, you can be sure they meet all E.U. Standards as well as many other countries’ criteria, to perform as expected. As the world-leader in Pinch Valve and Elastomer technology, Red Valve knows the importance of complying with the highest International Standards. Click the title above to read more. Red Valve Company is pleased to report that we are compliant to American Iron and Steel (AIS) stipulations. 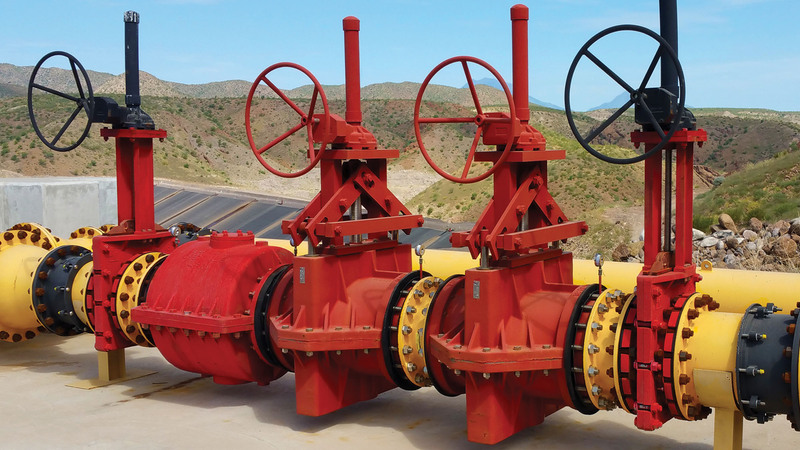 When the waiver expires, you can be confident specifying Red Valve and Tideflex® products, as all of the iron and steel hardware components are “poured and cast” in the United States. Click the title above to read more. 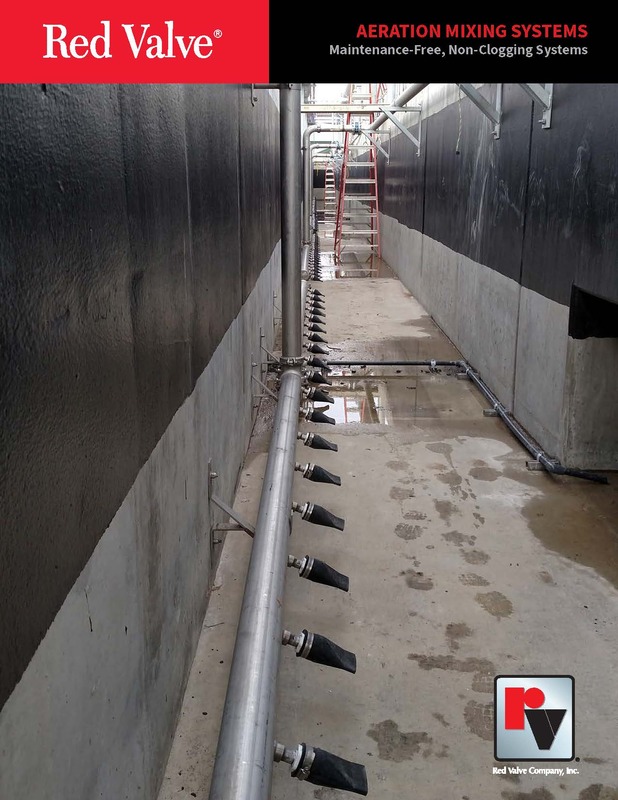 The November issue of Public Works features a story about a Tideflex® Coarse Bubble Diffuser System installed to reduce wastewater odor at a treatment plant in Carbondale, Colorado. Click the title above to read the story. 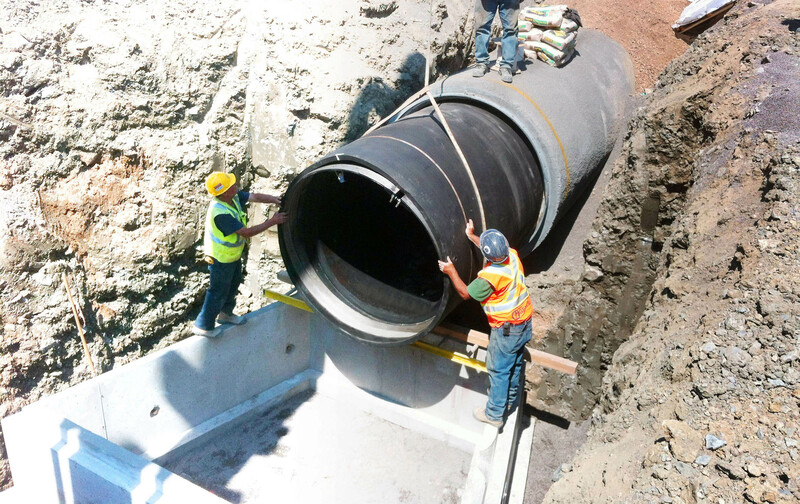 The September issue of Storm Water Solutions contains a case study about a Tideflex® Coarse Bubble Mixing and Oxygen Supply System installed to catch storm water run-off in a lagoon at the Stewart National Guard Air Base located in Newburgh, New York. Click the title above to read the story. The September issue of Opflow features an article about the Tideflex® Mixing System (TMS). 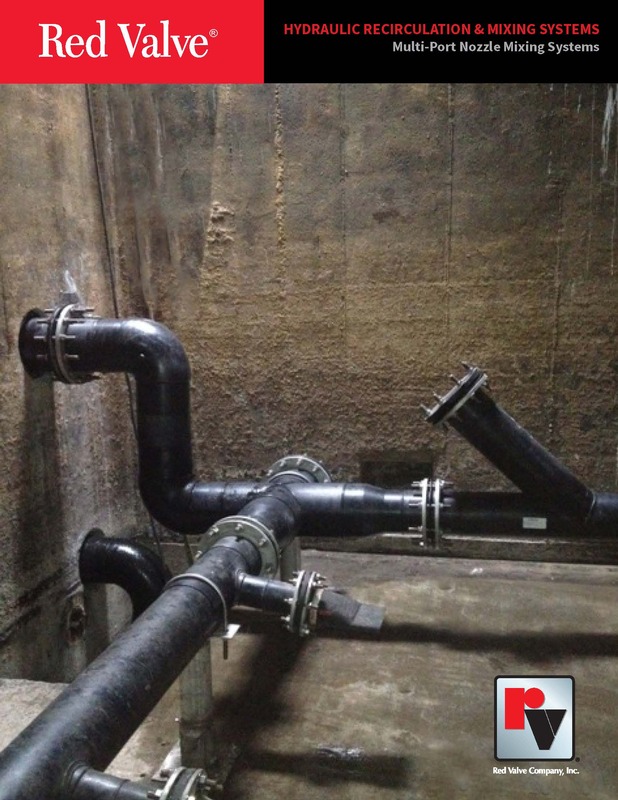 The story is about an installation in Wapehton, Iowa, in which a customized mixing system eliminated water stagnation in a 200,000-gallon water tower. Click the title above to read the story. Red Valve is pleased to be exhibiting at the following tradeshows. 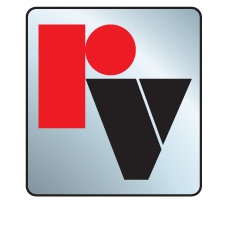 Please visit any of our booths to learn more about how Red Valve products can help you! Click the title above to read more. Red Valve Company has received ISO 9001:2015 Certification. 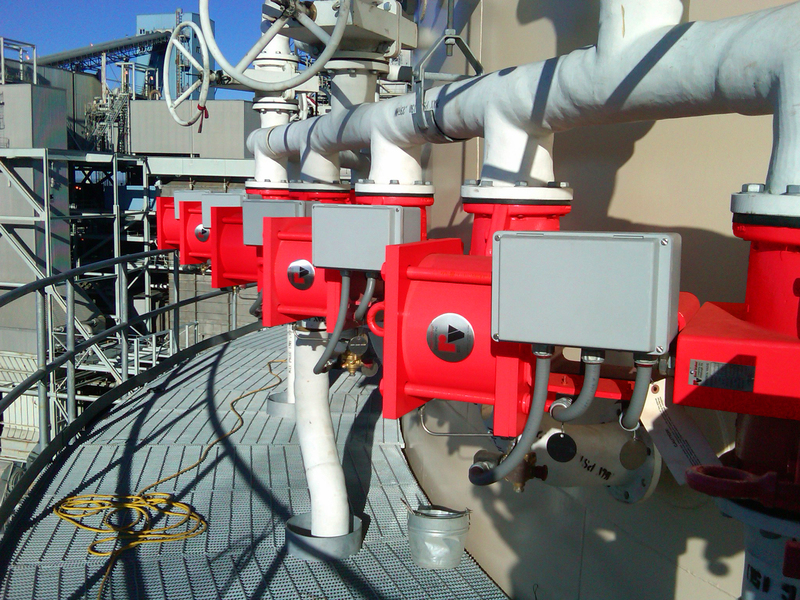 This certification covers all of the products manufactured by Red Valve and all of our operational processes. Click the title above to read more. Red Valve is pleased to announce the approval of our Redflex Expansion Joint and Pinch Valve product lines for NSF 61 Certification. Click the title above to read more.